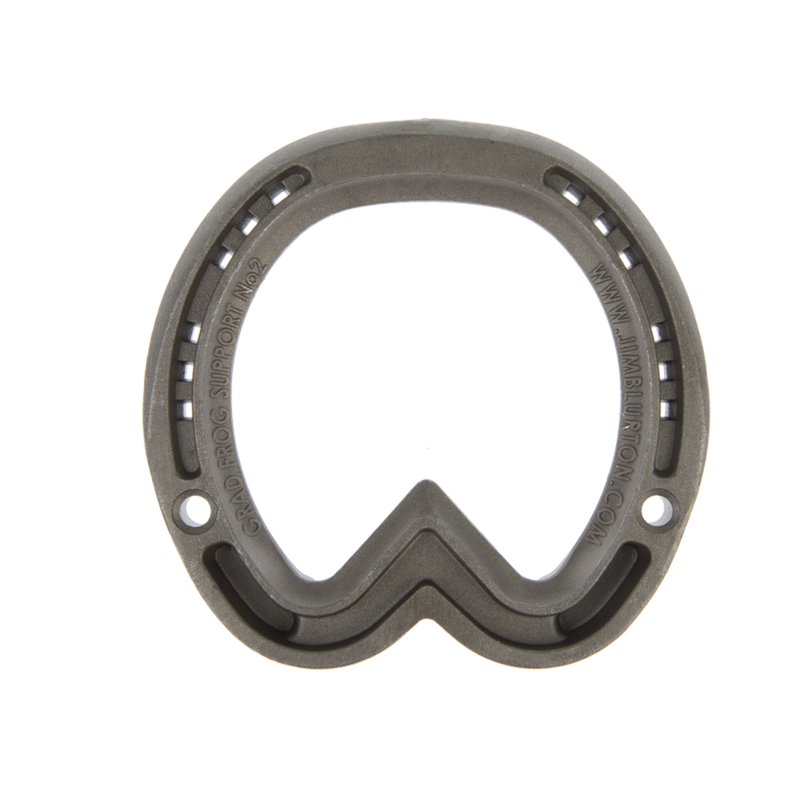 Welcome to Jim Blurton, internationally acclaimed brand for the design, manufacture and distribution of specialist horseshoes, now available through our online shop. Distributing worldwide, since 2007 Jim Blurton is widely acknowledged as a market leader in the crafting of functional, high quality horseshoes used across the globe by farriers who are dedicated to horse welfare whilst maximising equine performance. An internationally acclaimed farrier for over 40 years, Jim Blurton has designed and developed a comprehensive range of remedial shoes he is proud to put his name too. 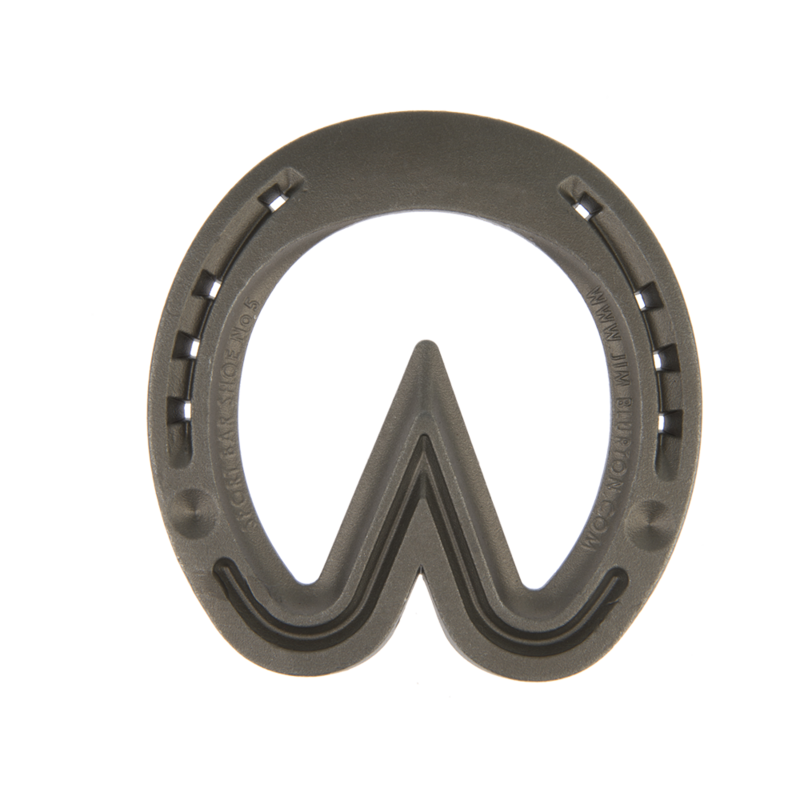 Jim Blurton specialist horseshoes are designed to solve foot issues caused from the various stresses of competition and everyday problems. Each shoe is designed for comfort and ease of fitting, providing the farrier with everything they need in a shoe to provide a perfect fit and solution every time. Designed for the sport horse with a wide section. The horseshoe incorporates a rolled toe which extends as far as the toe quarter reducing the strain on the coffin joint during break over. Visit our online shop to buy. The Jim Blurton Sport Heart Bar is an ideal shoe for the sport horse which has coffin joint and soft tissue pain, low weak heels, with the addition of the frog plate giving extra support to the foot. The bar follows the shape of the heels reducing the chance of pulled shoes. The shoe incorporates a roll toe and is safed off at the heel. The shoes are available with side or toe clips and they have a countersunk position for stud holes. Unique to these shoes they incorporate pitched nail holes providing a different angle for each nail making it easier to nail on. 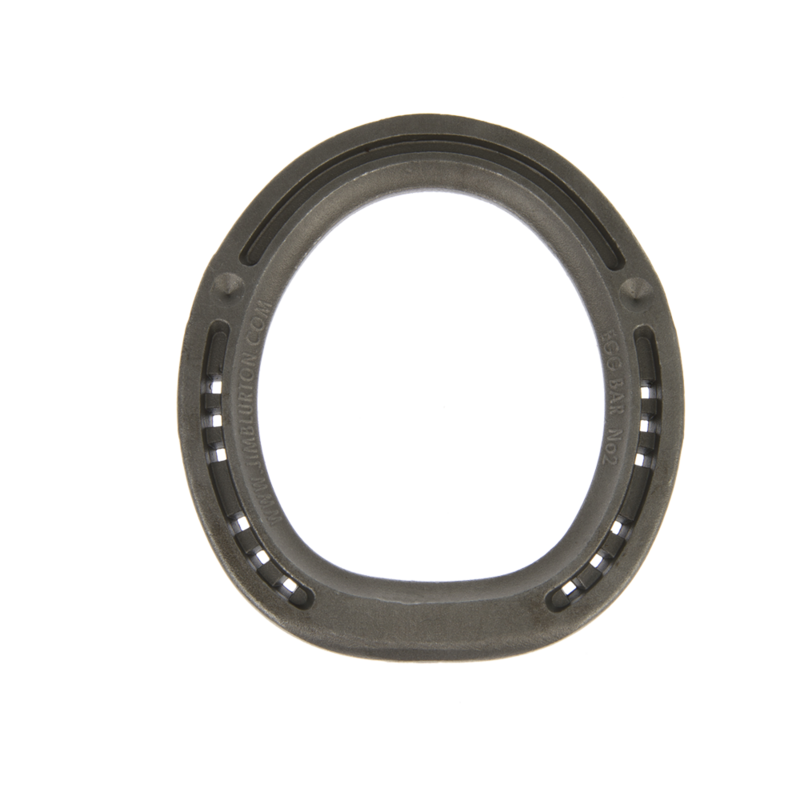 Designed for the sport horse with a wide section. 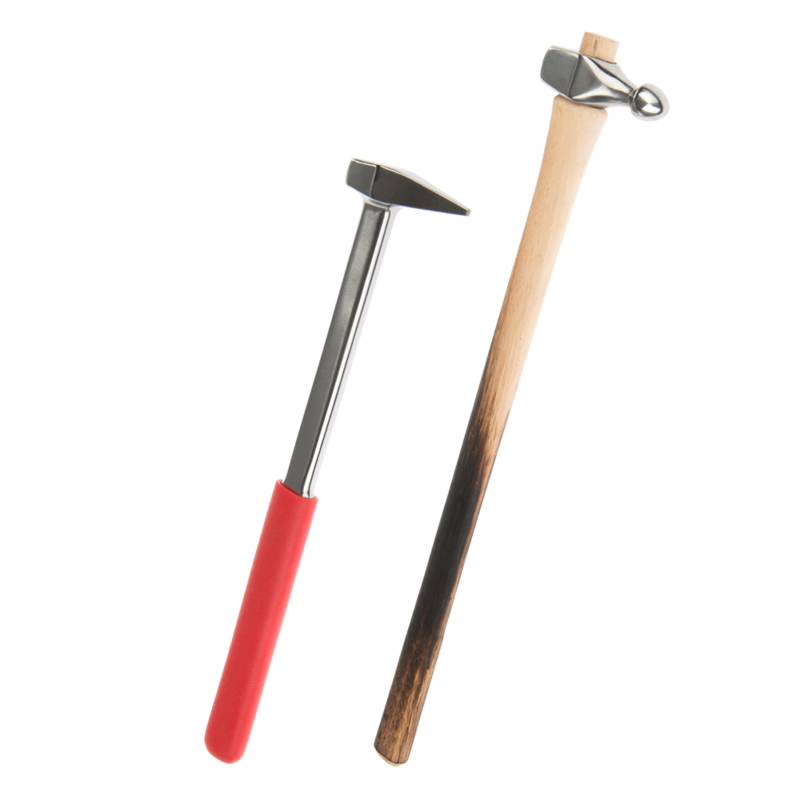 The Jim Blurton Sport Straight Bar horseshoe incorporates a rolled toe which extends as far as the toe quarter, reducing the strain on the coffin joint during break over. The bar follows the shape of the heels reducing the chance of pulled shoes. The shoe incorporates a roll toe and is safed off at the heel. 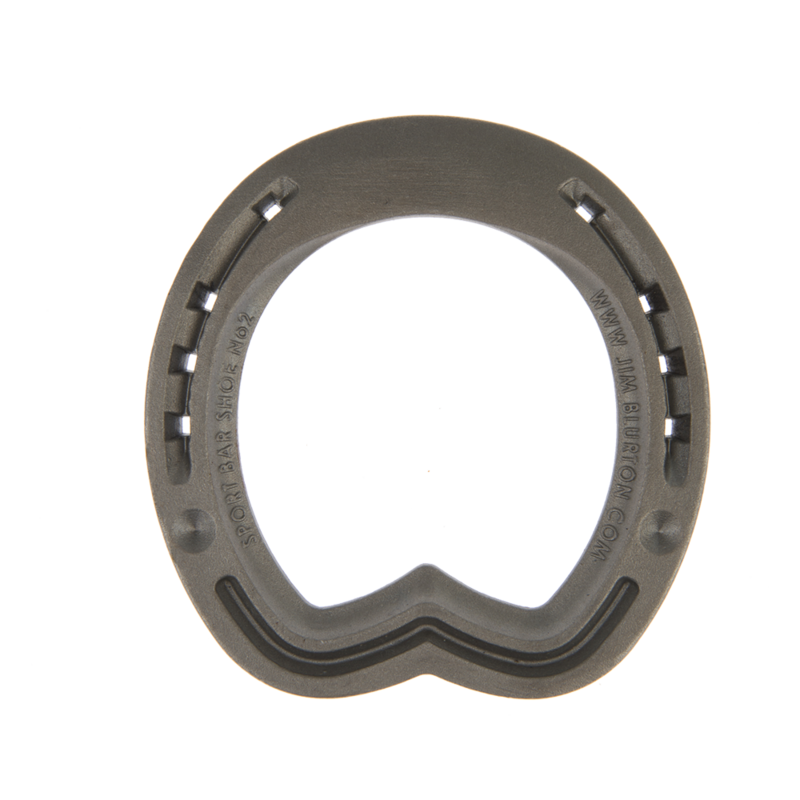 The horseshoes are available with side or toe clips and they have a countersunk position for stud holes. Unique to these shoes they incorporate pitched nail holes providing a different angle for each nail making it easier to nail on. Visit our online shop to buy. Drop forged out of aircraft grade aluminium and heat treated to optimise wear, the Jim Blurton Aluminium Race Bar horseshoe retains the ability to be reshaped. 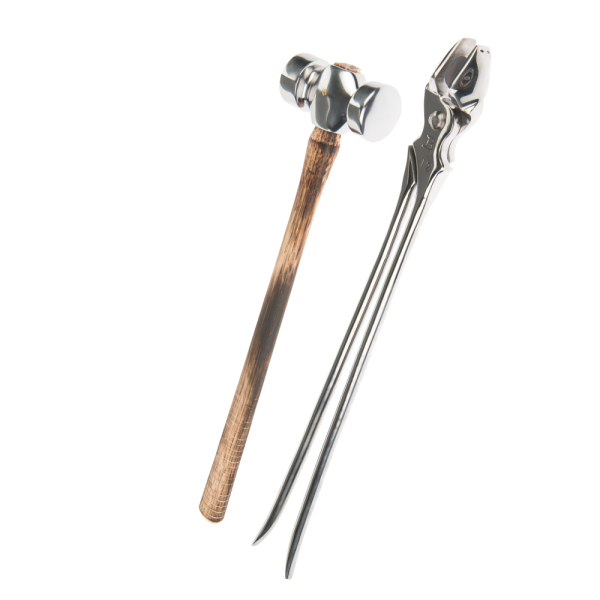 Features include a sweeping radius in the toe, pitched nail holes and a radius bar that mimics the bulbs of the heels. 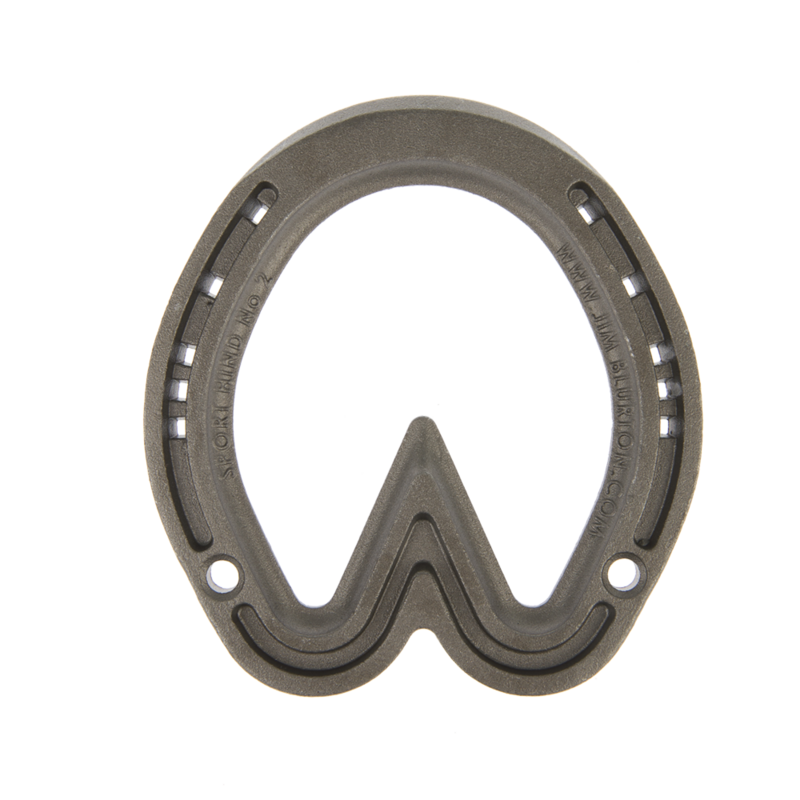 This shoe is ideal for the thoroughbred horses with weak heels, coffin joint pain and a broken H.P.A. The Aluminium Race Bar horseshoe still allows horses to do fast work as the bar follows the shape of the heels. The shoe incorporates a roll toe and is safed off at the heel. 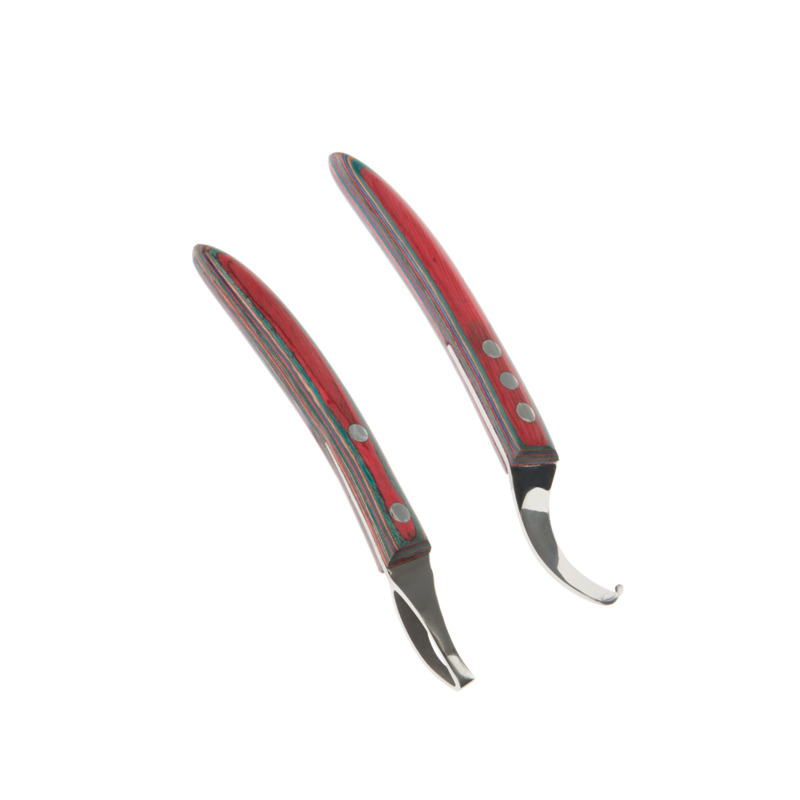 The shoe is available in sizes 3 – 7 and these sizes are the same as standard race plates and are toe clipped as standard. Unique to these shoes they incorporate pitched nail holes providing a different angle for each nail making it easier to nail on. Visit our online shop to buy. The Jim Blurton Heart Bar horseshoe can be used to help treat laminitis and flat feet. The shoe mimics the unshod foot, as the frog and wall are restored to a natural pattern of weight bearing. The support offered to the coffin bone is crucial for speedy recovery and realignment. 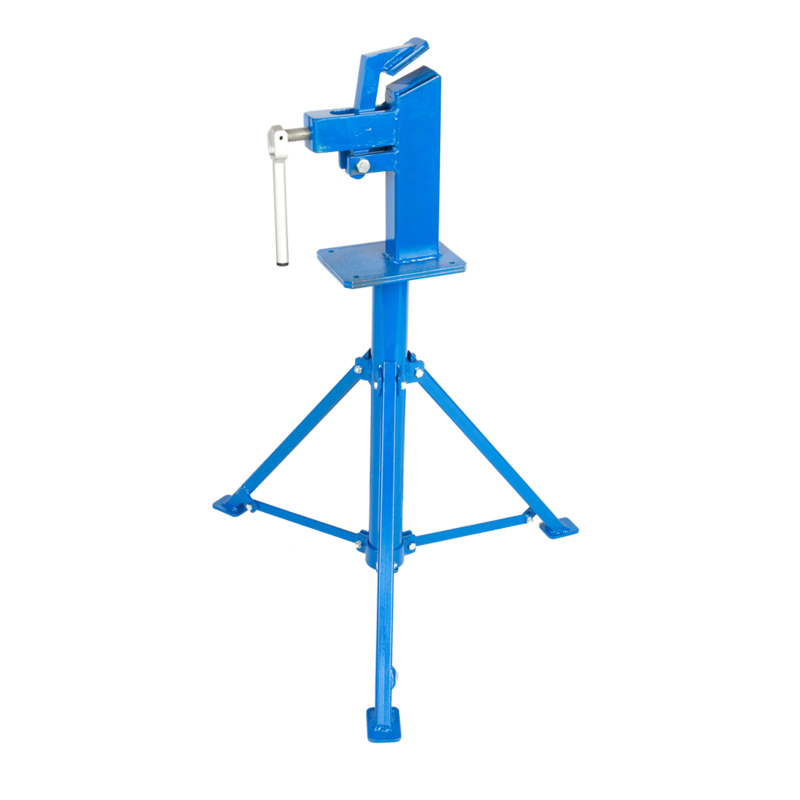 The Jim Blurton Heart Bar horse shoe not only provides superior support for the horse but also gives the farrier many added benefits to make the fitting as simple and quick as possible. The shoe incorporates a roll toe and is safed off at the heel. Side clips are standard and they have a countersunk position for stud holes. Unique to these shoes they incorporate pitched nail holes providing a different angle for each nail making it easier to nail on. Visit our online shop to buy. The Jim Blurton Straight shoe offers support to the heel and frog spreading the weight evenly throughout the foot. This shoe has a bar that runs directly between the two heels, enlarging the ground-bearing surface at the back of the foot. The shoe is ideal for competition horses, as the bar does not protrude excessively at the back of the foot. The Straight horseshoe incorporates a roll toe and is safed off at the heel. Side clips are standard and they have a countersunk position for stud holes. Unique to these shoes they incorporate pitched nail holes providing a different angle for each nail making it easier to nail on. Visit our online shop to buy. 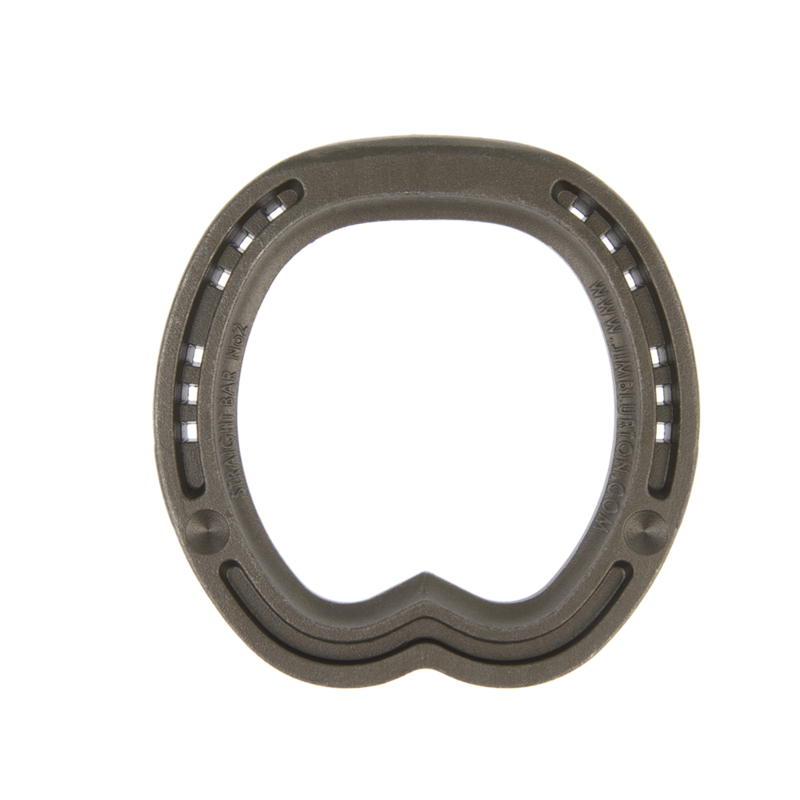 The Jim Blurton Egg Bar horseshoe is an oval shaped shoe and is usually used on horses with pre-navicular and navicular disease. 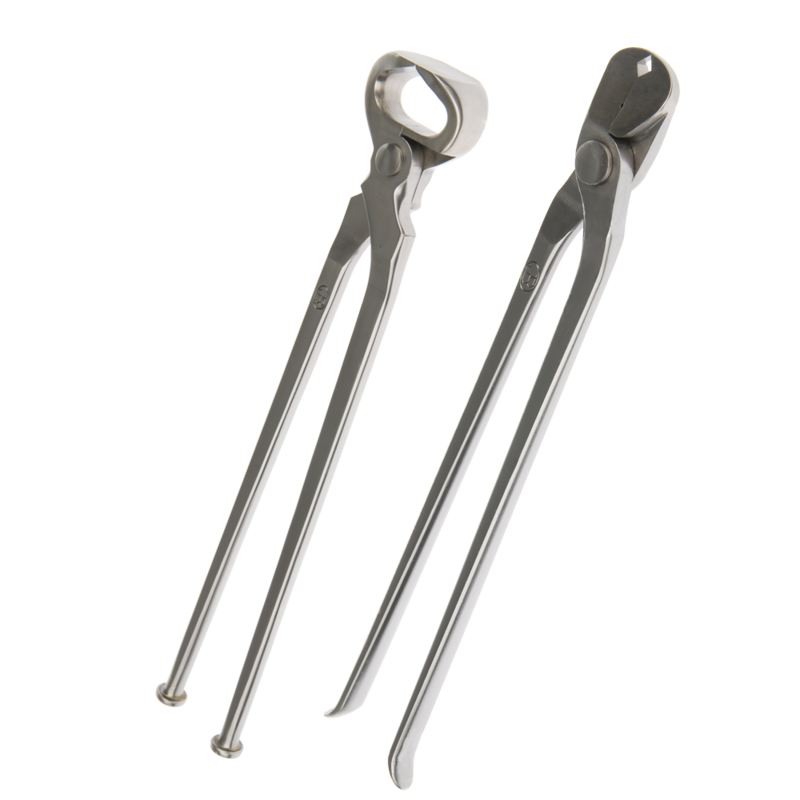 The frog is not supported, as the bar extends behind it, which can be a problem when used with very flat feet, as the frog will “drop through” because it is unsupported. In this case, a Heart Bar shoe may be better. The Egg Bar shoe has a considerably enlarged heel-bearing surface and is usually applied to the front feet with a rolled toe. Recently, Egg Bar shoes have been fitted to hind feet, as the extended heel surface gives support to horses with hock problems. The shoe incorporates a roll toe and is safed off at the heel. Side clips are standard and they have a countersunk position for stud holes. Unique to these shoes they incorporate pitched nail holes providing a different angle for each nail making it easier to nail on. Visit our online shop to buy. The three degree wedge bar, Graduated Frog Support horseshoe by Jim Blurton has been designed to assist in the realignment of the HPA. This shoe has a set down bar which makes it easy to fit on a foot with a prominent frog. Used in conjunction with Vettec soft pad material or an equivalent it is an ideal shoe for cordal lameness. 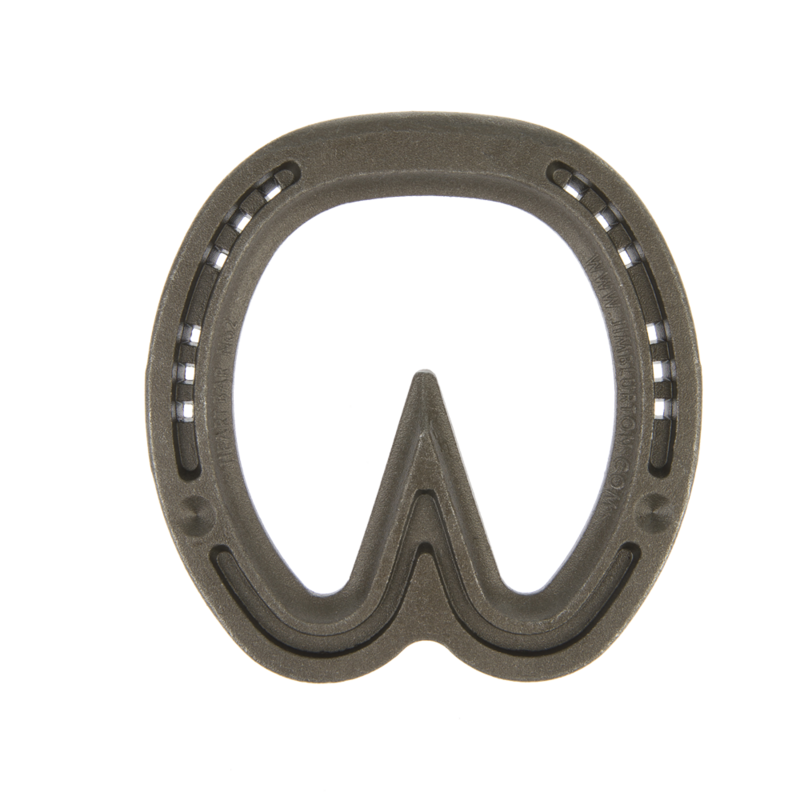 The Graduated Frog Support horseshoe offers a more stable platform for the horse than a wedge pad increasing the stability and reducing the flex in the foot. They have a bolder rounder shape ideal for flat footed horses. Side clips are standard and the shoe has been pre-drilled with stud holes. The shoe incorporates a roll toe and is safed off at the heel. Unique to these shoes they incorporate pitched nail holes providing a different angle for each nail making it easier to nail on. Visit our online shop to buy. The Hind Sports horseshoe with frog support, combines the benefits of an Egg Bar and Heart Bar shoe. The extended heel surface gives extra support relieving hock problems and the frog support alleviates sore suspensory ligament issues. The Sport Hindbar horseshoe from Jim Blurton mimics the unshod foot and optimises weight bearing throughout the foot. 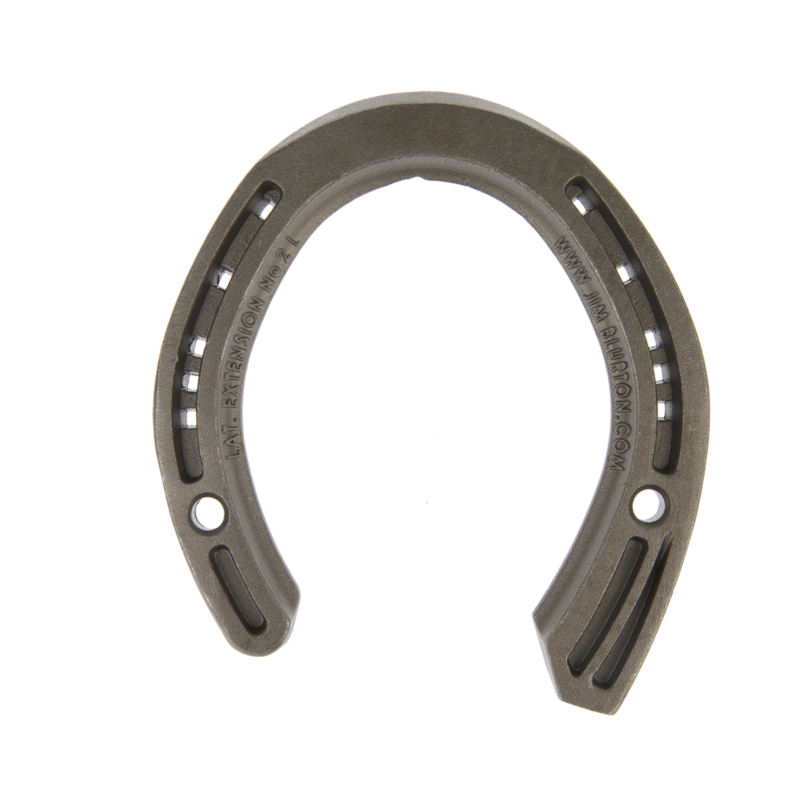 The shoe not only provides superior support for the horse but also gives the farrier many added benefits to make the fitting as simple and quick as possible. The shoe incorporates a roll toe and is safed off at the heel. Side clips are standard and they have counter sunk stud hole islands. Unique to these shoes they incorporate pitched nail holes providing a different angle for each nail making it easier to nail on. Visit our online shop to buy. The Lateral Extension Horseshoe is used for many different things; they are very useful for horses that ‘Brush’ as its works by widening the horses gait during locomotion. It can also be used as a support shoe and in the treatment of bone spavin. Horses with bone spavin attempt to unload the dorsal (front) aspect of the small tarsal joints by redistributing their weight. The Lateral Extension is used in an attempt to make the horse more comfortable, by changing the weight distribution. 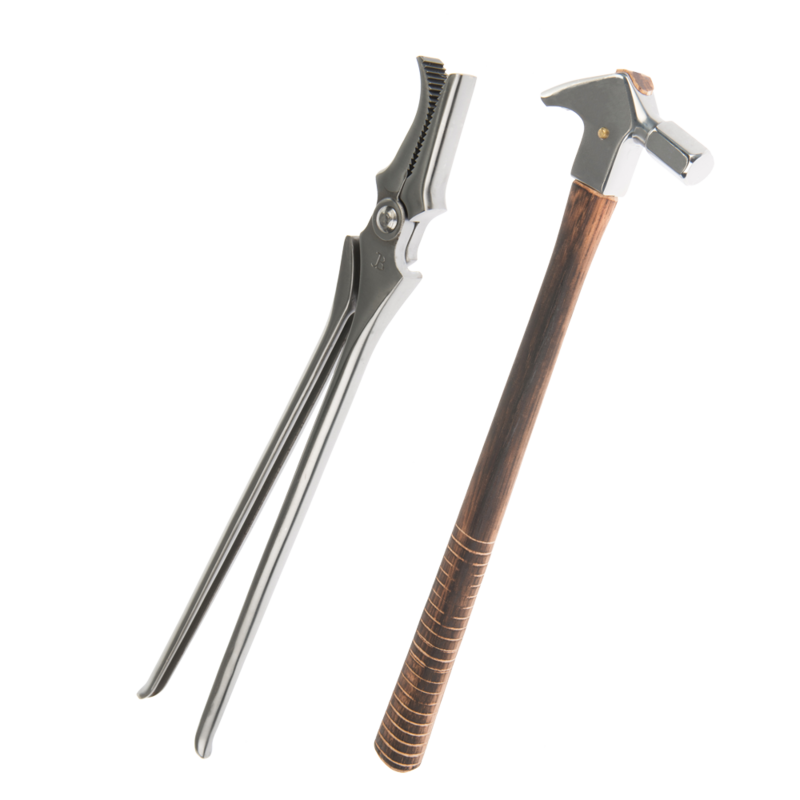 Jim Blurton has made sure that the farrier can easily fit these and have confidence in their stability. 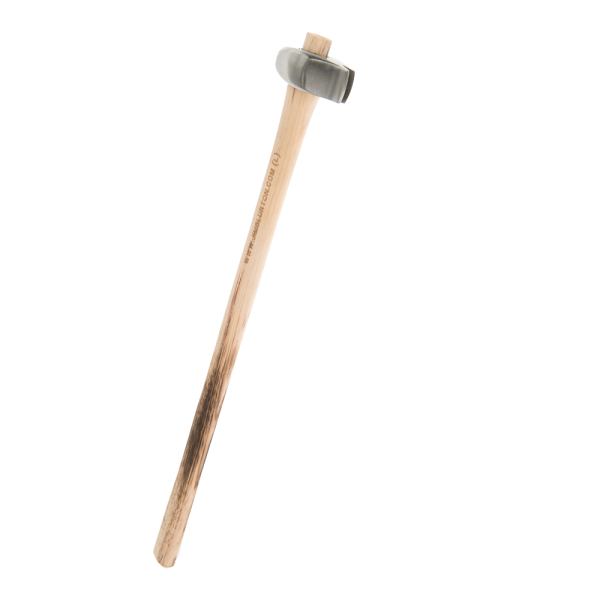 A deeper fullering on the outside branch of the shoe maintains a good strong nailing. The shoe incorporates a roll toe and is safedoff at the heel. Side clips are standard and they have counter sunk stud hole islands. Unique to these shoes they incorporate pitched nail holes providing a different angle for each nail making it easier to nail on. Visit our online shop to buy.